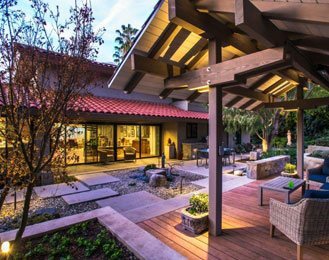 Element Outdoor Design & Build is a construction company located in the South Bay area of Los Angeles. 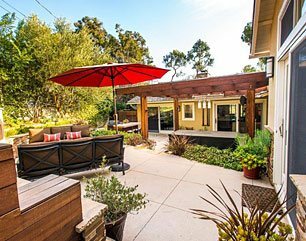 We specialize in turn key outdoor living projects and are determined to provide each customer with the highest quality work and materials. We can customize and install hardscape, landscape, pools, concrete, block work, masonry, and pavers. Elements such as water features, fire features, outdoor cook centers, are among our specialties. 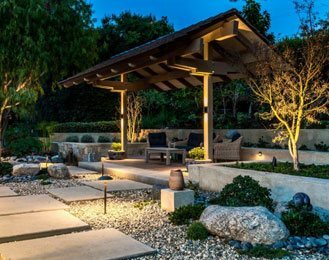 We have extensive experience and knowledge in a wide variety of products and we are authorized installers for Belgard Hardscapes, Orco Block Co., and Angelus Block Co.
We collaborate with top landscape architects, designers, and outdoor living manufacturers in the industry to create the ideal outdoor living space for residential and commercial projects. We warranty our work from the ground up. Licensed with classes B. C29, C27 and C53, bonded, and fully insured. Our goal is to build with integrity. We will provide our clients with beautiful products that will endure for the enjoyment of many generations to come. We are honored to have the opportunity to serve our clients and we proudly honor our craft. We deliver on our agreements. We strive to maintain great relationships with our clients, colleagues, and our employees. We have built a company that our team is proud to be part of and we will continue to maintain these high standards. "Our new driveway is great! We are very satisfied with the paver work on both the driveway and path through the garden. The men worked very hard and long, and were always polite. Andrew was always on top of things and is a good, responsive supervisor. Thank you." "My patio looks so beautiful! Element Outdoor completely took charge of the installation of pavers at my newly built condo. Many thanks for your great work! I highly recommend Element Outdoor!" 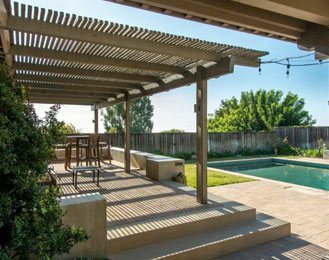 "Element Outdoor Design & Build provides a competitive estimate with a clear statement of work. They arrived promptly on the proposed date and completed the job quickly. The results were very satisfactory."